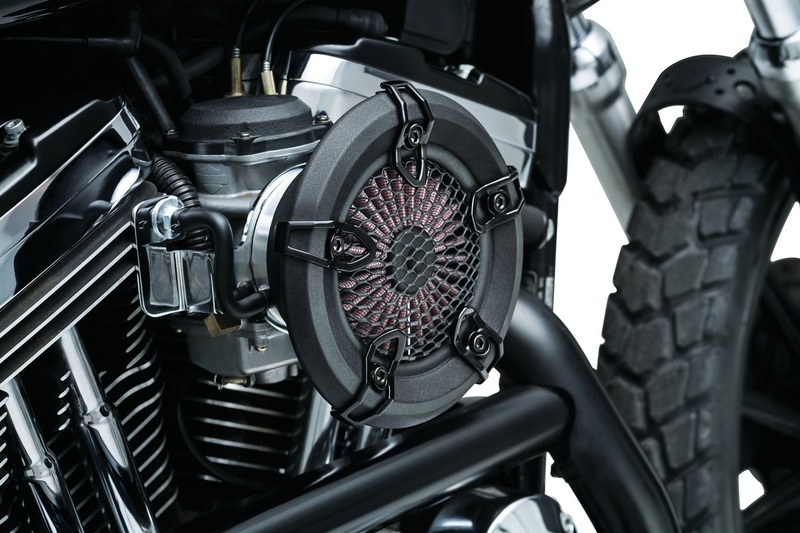 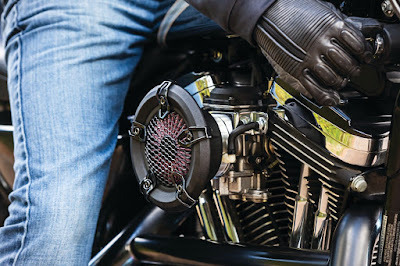 SOMERSET, WIS, — The new Revolt Air Cleaner from Crusher®, the Performance Division of Kuryakyn, showcases aggressive race-inspired styling and performance reminiscent of minimalist old-school velocity stack intakes. 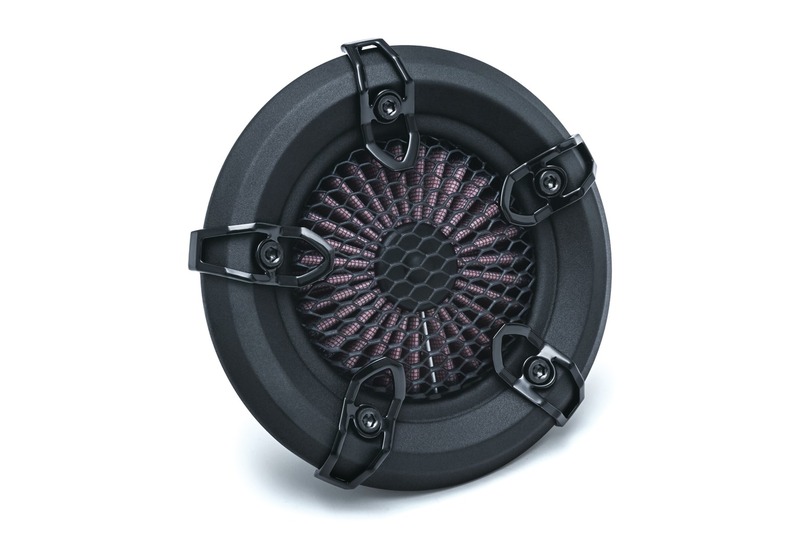 Unlike traditional velocity stacks, the Revolt features the added security of an integrated stainless steel mesh insert and high-flow washable/reusable K&N filter to eliminate debris or moisture from entering the throttle body. 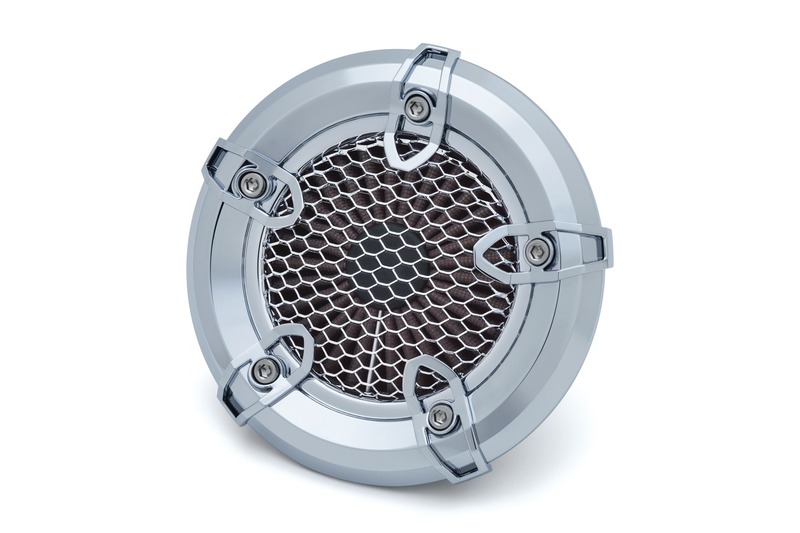 Also available are Revolt air cleaner assemblies for custom applications, bolting directly to stock 40mm and Screamin' Eagle 44mm CV carbs, as well as cable-operated Delphi throttle bodies. 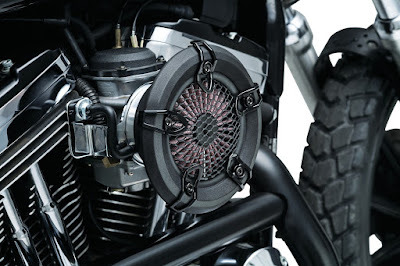 Installation on Mikuni HSR42/45/48, S&S E or G Shorty, or other aftermarket carbs requires adapters, sold separately.